Isotopic variations in nature result from radiogenic ingrowth, mass-dependent stable isotope fractionation. Especially in meteorite samples, isotopic variations also result from irradiation processes or vestiges of nucleosynthesis. Studying the isotope compositions of elements in geological and cosmochemical materials allows to shed new light on e.g., the formation of the solar system and its planets, terrestrial geodynamic processes, environmental changes and the timing of geological events. 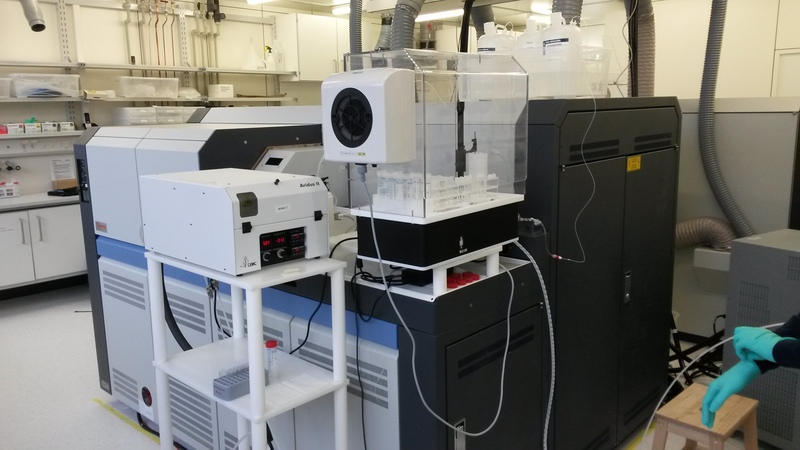 Multicollector - inductively coupled plasma - mass spectrometry (MC-ICP-MS) provides a unique opportunity to perform precise isotope ratio measurements for a wide range of elements. The geochemistry/cosmochemistry group hosts two ThermoFisher Neptune MC-ICP-MS systems equipped with autosamplers and various sample introduction systems. 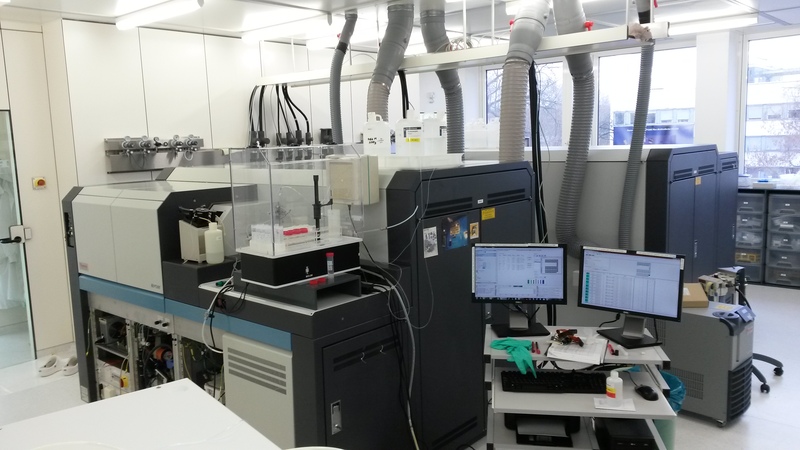 Radiogenic isotope systems set up in our lab include Lu-Hf, Rb-Sr, Sm-Nd, La-Ce, U-Series and U-Pb. These isotope systems are applied, for instance, to study processes in the Earth's mantle, the evolution of the Early Earth or dating metamorphism by garnet geochronology. Furthermore, the short-lived Hf-W and Nb-Zr chronometers are applied to extra-terrestrial materials. Stable isotope analyses (Ti, Fe, Cd, Sn, W) are mainly applied to problems in cosmochemistry and igneous geochemistry. We also investigate nucleosynthetic isotope anomalies and irradiation effects in meteorite samples using for example Fe, Cd and W isotopes. Another prominent analytical tool employed at Cologne is the precise determination of trace element abundances by isotope dilution. Currently our toolbox includes Zr, Hf, Ta, W, In and Sn.